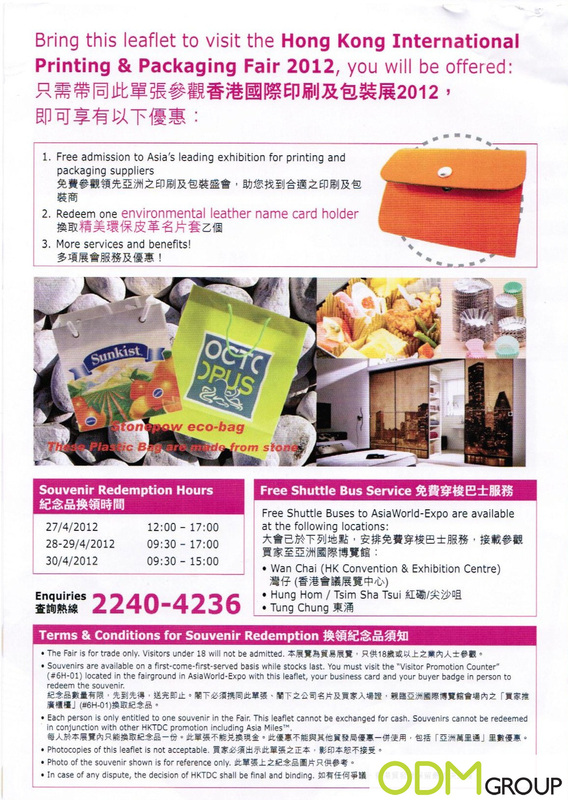 Asiaworld Expo held a promotional giveaway during the recent Hong Kong International Printing and Packaging Fair 2012. Visitors just had to present this leaflet, their business cards and buyer badges in person to redeem a leather name card holder. Made of genuine leather, the promotional product is simple and classy. 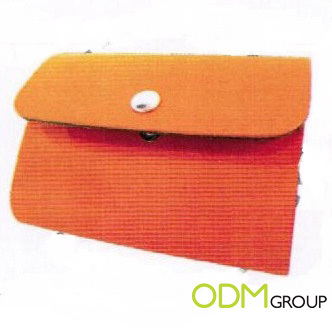 The elegant design would boost the perceived value of this promotional item and entice the visitors. A functional promotional item like this is ideal for increasing brand awareness and providing free advertisement when branded with a logo. This promotional gift is complementary to the event as many visitors would be looking for a place to hold their business cards. With such a handy product, Asiaworld Expo is a step ahead in enhancing their brand recall. If you’re looking to customise your own promotional merchandise for your marketing campaign, please do not hesitate to contact us. We will help you brainstorm some amazing promotional ideas that are tailored accordingly to your needs!